Calbuco Volcano is in the southern Andes, 56 km from Puerto Varas, standing between the south eastern shore of Lago Llanquihue and Lago Chapo. It rises to a height of 2,003 meters above sea level, some 1,550 meters proud of the surrounding peaks. 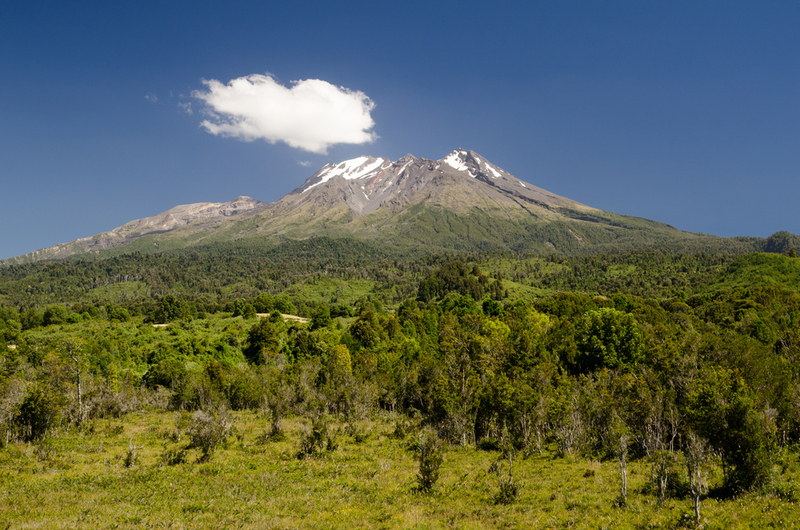 The diverse fauna in the area of the volcano includes skunks, hares, humming birds and huet huet. The vegetation includes nalcas, bamboos, ferns, ciruelillos, tepas, pines, avellanos and coigües. Visitors can walk on an excursion trail that starts near Villa Ensenada.